XXVI ESCOLA DE FONSECA. "Can we improve the treatment of major depression?". 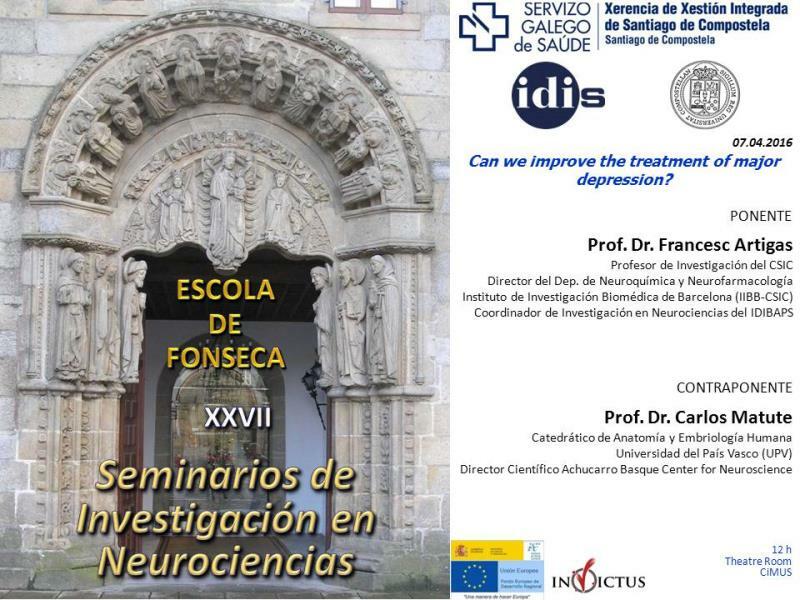 PONENTE: Prof. Dr. Francesc Artigas CONTRAPONENTE: Prof. Dr. Carlos Matute. 7 de abril de 2016. A las 12 h. En el Theatre Room, CIMUS. Santiago de Compostela.